By 1968, the Ford Mustang had already gained iconic status, being a popular choice among U.S. sports car enthusiasts due to its lightweight design, powerful drivetrains, and aggressive looks. 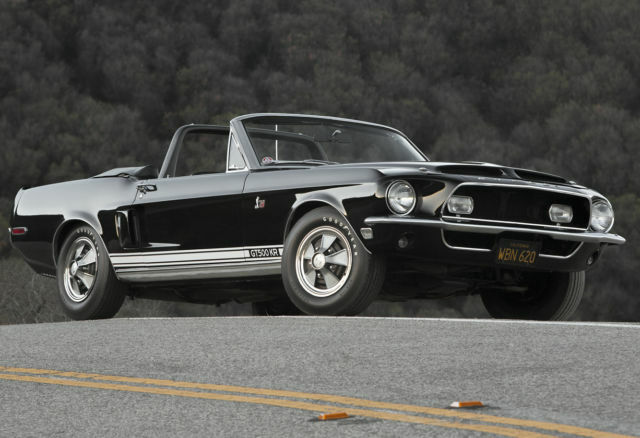 The arrival of the Shelby GT350 in 1965 gave Ford even more credence on the performance market. The Shelbys became increasingly powerful over the years, but that didn’t stop Ford and Carroll Shelby to develop larger and more potent mills. 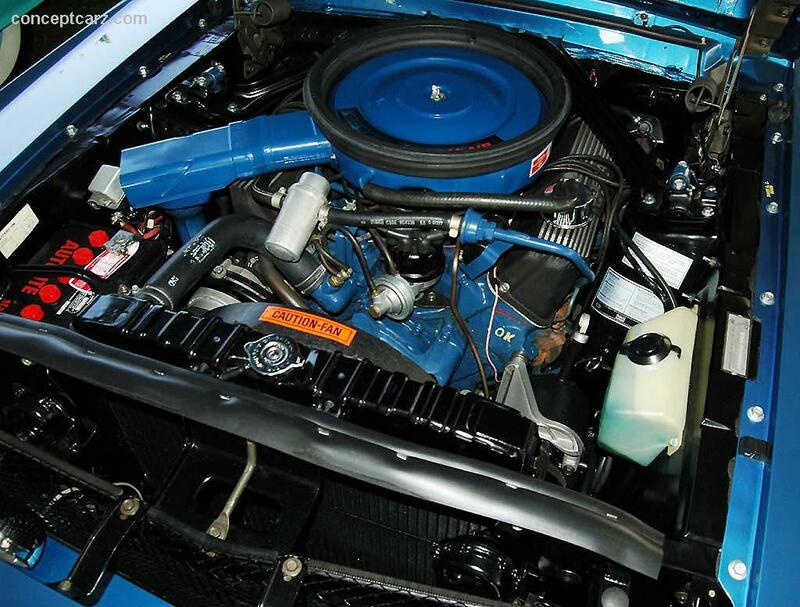 In April 1968, a brand-new version of the 428-cubic-inch (7.0-liter) Police Interceptor V8 engine, with improved breathing heads and larger exhaust manifolds, was launched. Dropped into the range-topping Shelby GT500, the new engine gave birth to the Cobra GT500 KR. What Does “KR” Stand For? The “KR” nameplate stood for “King of the Road,” which suggested that this was the most powerful Mustang ever built as of 1968. 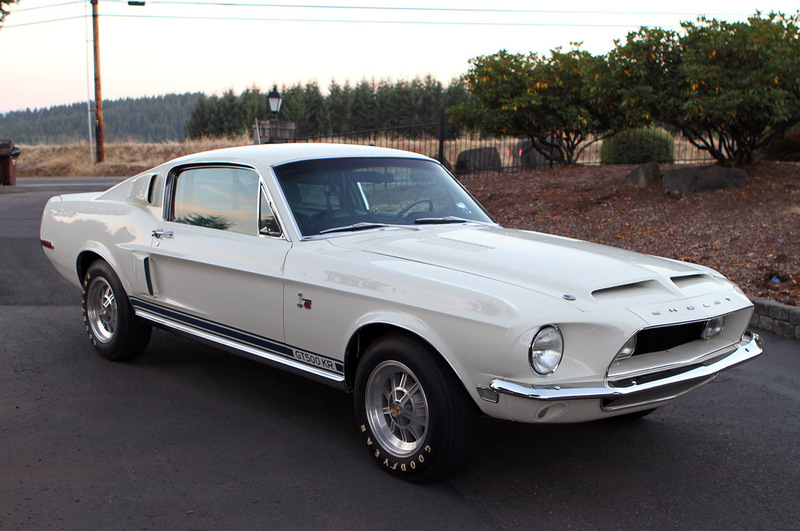 According to various sources, the Shelby GT500 KR got it’s name before the car was ever designed/slated to be built. Allegedly, Carroll Shelby got wind that Chevrolet was planning on trademarking the name “King of the Road”, so he got on the phone with his lawyer immediately and had him trademark the name before the folks over at Chevy could. FoMoCo dropped the GT500 KR after ’68, right before Shelby stopped modifying Mustangs, ending production at a little over 1,200 units. 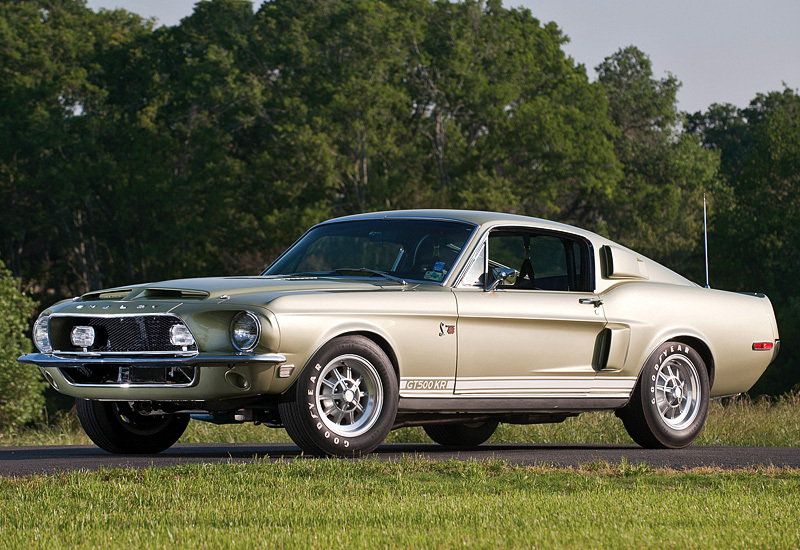 Today, the King of the Road is regarded as the ultimate Shelby Mustang ever produced and it’s among the most expensive muscle cars when it hits the auction block. The GT500 was launched in 1967, and even though it was significantly heavier than the track- oriented GT350, it had a bigger engine under the hood. Naturally, the car also had several chassis upgrades to make it more suitable for spirited driving, but its main features were the more aggressive appearance and the massive, 7.0-liter V8. By 1967, the GT500 had already received the 428 V8, essentially a more streetable version of the 427 FE, but it wasn’t until 1968 that Ford rolled out the 428 Cobra Jet. Built for the performance market niche, it had larger intake ports and valves than the regular 428, a Holley four-barrel carburetor, heavier connecting rods, and a nodular iron crankshaft casting. Some engines were also equipped with a functional hood scoop and unrestricted cold air induction. Output was officially rated at 335 horsepower, but this figure was believed to be intentionally underrated due to rapidly escalating insurance surcharges, which were hurting sales of high-powered muscle cars. True output approached 410 horsepower according to independent tests, which was more in line with the engine’s 440 pound-feet of torque. Mated to a four-speed manual transmission, the 428 Cobra Jet sent the GT500 KR flying from 0 to 60 mph in 6.5 seconds and up to a top speed of 140 mph. For 1968, these were some amazing figures, and were backed by high-thirteen-second quarter-mile runs with trap speeds in the 101- to 103-mph range. Engine-aside, the King of the Road was recognizable due to its unique styling. The big vents atop the front grille were highlighted by Lucas or Marchal fog lamps, while the Ford Thunderbird-sourced taillights gave it a wide stance at the rear. Other notable features included twist-lock hood pins, chrome bumpers, a twin-exhaust layout, contrasting Shelby stripes above the side skirts, and “Cobra Jet 428” emblems on the fenders and gas cap, as well as “GT500 KR” graphics on the front fenders. Inside, the KR had a Cobra-badged steering wheel, striped gear shift knob, and Cobra-embossed leather besides the usual GT500 equipment. Granted, the KR was rather subtle inside and out, but its special abilities became evident was the ignition key was turned and the accelerator pedal hit the floor. Due to Ford and Shelby parting ways in 1969, the GT500 KR was dropped from the lineup, and even though FoMoCo continued to offer performance-oriented ‘Stang such as the Mach 1 or Boss 351, the King of the Road’s greatness was never equaled. What’s more, the 1973 oil crisis put an end to the Mustang as a muscle car, being replaced by a more compact and frugal vehicle starting 1974. The GT500 KR was revived in 2008 with styling cues from the original car, but even though it made for a successful tribute car, it will take some time until it become a classic. 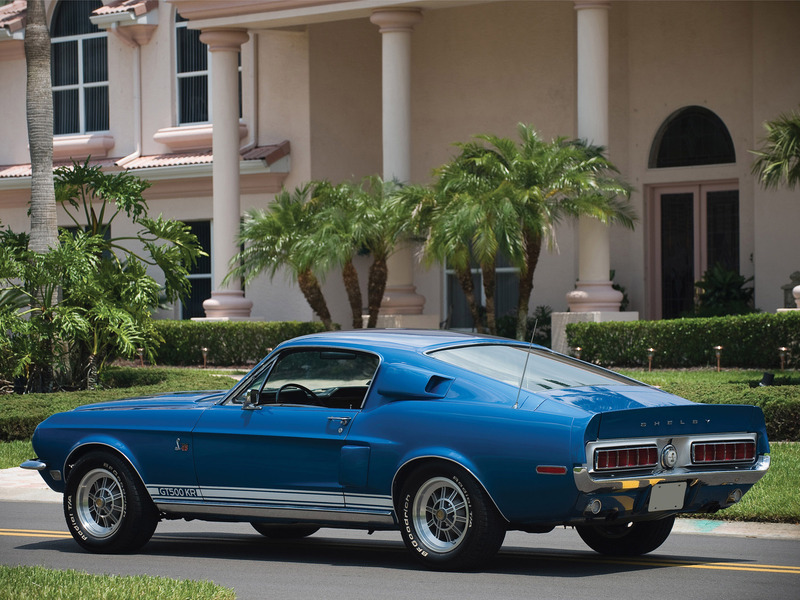 Over the last decade, well-maintained examples of the 1968 Shelby GT500 KR have fetched well in excess of $200,000 at public auctions, with some units even breaking the $300,000 mark, figures that speak volumes of the car’s special status almost five decades since its creation. Want to read about more Rare Mustangs? Checkout these stories below! This article just verified that my Shelby GT500KR is very rare. After a full ground up resto I’m even more happy to have it.